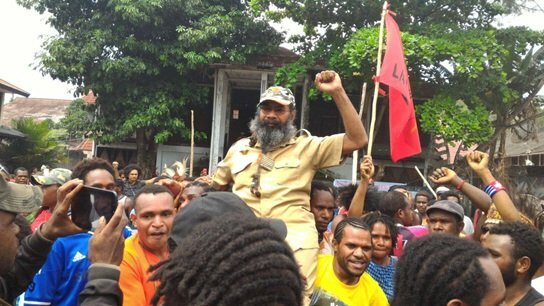 West Papuan pro-independence activist Filep Karma was released after sitting behind bars for 11 years. His release is seen as a positive change in Indonesia’s West Papua policy. Papuan pro-independence activist Filep Karma tasted freedom yesterday after being unjustly jailed for more than a decade for simply raising an independence flag at a political ceremony in 2004, Amnesty International said. Amnesty International has long regarded Filep Karma as a prisoner of conscience and campaigned for his release. In 2011 the organisation’s supporters in more than 80 countries sent more than 65,000 messages of support to him as part of its annual “Writes for Rights” campaign and called for his unconditional release. The organisation believes he was arbitrarily arrested because for peacefully exercising his right to freedom of expression and assembly by raising a flag and attending a political event.